In another instance of hijinks surrounding the city’s social media efforts, someone pretending to be the Boston Transportation Department set up a fake account during the weekend to send out sarcastic tweets to residents about the the city’s transportation infrastructure. The mystery tweeter said in a message to the Globe that he or she wanted to highlight the city’s dawdling on creating a real account and, along the way, couldn’t resist taking a few pothole potshots. The account, @Boston_BTD, appeared sometime Sunday afternoon. It was suspended on Twitter by Monday afternoon. At first glance, the account seemed legitimate. In the account’s description, it said tweets marked “GF” were from Commissioner Gina Fiandaca. In the bio, the user claimed that the account was created to help “make transportation work for everyone in Boston.” The account, which included a link to the city’s website, used the department’s official logo, though it was later changed to a picture of a bus in the snow. 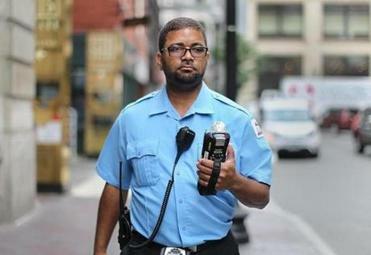 No one issues as many tickets as Ildo Rosario, who handed out more than 96,000 over the last five years. The tweets that followed the initial introduction had included snark-filled rants about finding parking and keeping amateur cyclists off of the roads and in their cars. One denied the existence of the East Boston neighborhood. The person — or persons — behind the account also responded to constituents as they tweeted about gridlock and other traffic plights. “There’s going to be gridlock everywhere and you’re all to blame,” a tweet sent during the Monday morning rush hour said. Officials from Mayor Martin J. Walsh’s office said the account was bogus and that they were “looking into” it. “We have reached out to Twitter because of the use of the official BTD logo,” said city spokeswoman Bonnie McGilpin. Hours later, the account became invalid, though its creators set up an additional account pretending to be the city Department of Public Works. The account’s handler agreed to talk to a reporter through Twitter’s direct message service only. “But [within] an hour of opening the account, people were lobbing softballs at me that were too tempting to resist,” the person said. Earlier this month, the Boston police claimed their Twitter account was hacked after the message “ASL#” was sent out to more than 300,000 people. In September, the Boston Redevelopment Authority also claimed their account was compromised when someone sent out a tweet about the upcoming movie about James “Whitey” Bulger. Just kidding. There's going to be gridlock everywhere and you're all to blame.